The Israeli government and its right-wing supporters have been waging a “McCarthyite” campaign against human-rights groups by blaming them for the barrage of international criticism that has followed Israel’s attack on Gaza a year ago, critics say. In a sign of the growing backlash against the human-rights community, the cabinet backed a bill last week that, if passed, will jail senior officials from the country’s peace-related organisations should they fail to meet tough new registration conditions. The measure is a response to claims by right-wing lobbyists that Israel’s human-rights advocates supplied much of the damaging evidence of war crimes cited by Judge Richard Goldstone in his UN-commissioned report into Israel’s Operation Cast Lead. Human-rights groups funded by foreign donors, such as the European Union, would be required to register as political bodies and meet other demands for “transparency”. Popular support for the clampdown was revealed in a poll published last week showing that 57 per cent of Israeli Jews believed “national-security” issues should trump human rights. In a related move, right-wing groups have launched a campaign of vilification against Naomi Chazan, the Israeli head of an American Jewish donor body called the New Israel Fund (NIF) that channels money to Israeli social justice groups. The NIF is accused of funding the Israeli organisations Mr Goldstone consulted for his report. Billboard posters around Tel Aviv and Jerusalem, and a newspaper advertising campaign, show a caricature of Ms Chazan with a horn growing from her forehead under the title “Naomi-Goldstone-Chazan”. “We are seeing the evaporation of the last freedoms of speech and organisation in Israel,” said Amal Jamal, head of politics at Tel Aviv University and the director of Ilam, a media-rights organisation that would be targeted by the new legislation. 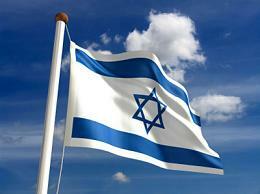 The Israeli political system, he added, was being transformed into a “totalitarian democracy”. Leading the charge against human-rights groups — most of which are officially described as “non-governmental organisations” — has been a self-styled “watchdog group” known as NGO Monitor. Its activities have won support from the government following the international censure faced by Israel for its attack on Gaza. The bill, approved by a ministerial committee last week, is the product of a conference staged in the parliament in December by Gerald Steinberg, NGO Monitor’s director, and a settler-backed organisation known as the Institute of Zionist Strategies. A professor at Bar Ilan University, Prof Steinberg presented a report to MPs and ministers that referred to peace groups as “Trojan horses” and argued for imposing constraints on funding from European governments and the NIF. He has reserved special criticism for advocacy groups for the country’s Arab minority and for Jewish groups opposing the occupation, accusing both of promoting an image of Israel as an “apartheid” state that carries out “war crimes” and “ethnic cleansing”. According to his report, 16 Israeli peace NGOs received $8 million in European funding in the previous three years. Pressure has been building in the government for action. This month Yuli Edelstein, the diaspora affairs minister and a member of prime minister Benjamin Netanyahu’s Likud party, told reporters the cabinet had been “concerned for a time with a number of groups under the guise of NGOs that are funded by foreign agents”. One of the MPs who participated in December’s conference, Zeev Elkin, also of Likud, initiated the legislation. Although the bill will need to pass a vote of the parliament, backing from the government has dramatically increased its chances of success. According to the legislation, human-rights groups will have to satisfy a long list of new conditions. They include: registering as political bodies; submitting ID numbers and addresses for all activists; providing detailed accounts of all donations from overseas and the purposes to which they will be put; and declaring the support of foreign countries every time an activist makes a speech or the organisation stages an event. Senior officials in NGOs that fail to meet the requirements face up to a year in jail. Hagai Elad, head of the Association of Civil Rights in Israel, the country’s largest human-rights law centre, said there was “a very hostile political climate” and that freedoms were being attacked “one step at a time”. Caught in the middle of the campaign against the NGOs has been Ms Chazan, a former dovish MP. Maariv, a populist newspaper, published a report last month by a right-wing group called Im Tirtzu that blamed Ms Chazan and the NIF for funding human-rights groups responsible for 90 per cent of the criticisms of Israel contained in the Goldstone Report that were from non-official sources. A counter-report last week suggested that in reality only about 4 per cent of the citations were from NIF-funded groups, and many were unrelated to the Gaza operation. But the attack on Ms Chazan has rapidly gained traction, with commentators denouncing her in the media and the derogatory billboard posters springing up across the country. The campaign against the NIF was backed this month by a petition signed by a long list of former generals, including Giora Eiland, the previous head of the National Security Council, and Doron Almog, a recent chief of the army’s southern command. Ms Chazan has also been sacked by the right-wing Jerusalem Post newspaper after 14 years serving as one of its few liberal columnists, while an article accusing Ms Chazan of “serving the agenda of Iran and Hamas” was distributed to foreign journalists by the Government Press Office. NIF has pointed out that Im Tirtzu’s funders include Christians United for Israel, a group led by pastor John Hagee, who made the headlines in the US presidential race in 2008 when in a speech supporting contender John McCain he said “Hitler was fulfilling God’s will”.